Find the items you want First you will need to browse or search for the items you would like to order. Keyword search boxes are located on nearly every page of our website. You will also find links to browse lists and tags. If you know the product code of the item you want you can type this into the search box and find the product straight away. You can also find the product you want more quickly by searching by size, colour or price when you find an item that interests you; click the title or name of the item to see its product detail page. Here you will find more information about the items. Add the items to your basket If you want to order an item from Ethicalsuperstore.com, click the 'Add to Basket' button on the item's product detail page. Once you've added an item to your Basket, use the top navigation bar or the 'Continue shopping'button to keep searching or browsing until your basket contains all of the items you want to order. You can access the contents of your Basket at any time by clicking the 'basket' icon at the top of every page of our website. Proceed to checkout Take a moment to review all of the items you've placed in your basket. When you're ready to complete your order click the 'go to checkout' button. You will be taken to the first page of the order process. Sign in if you're a returning customer enter your email address and password for your account, and click the 'Sign in' button. If you're new to Ethicalsuperstore.com you need to create an account. You need a password for your account so that when you return to Ethicalsuperstore.com, you can use the same delivery address and method of payment you provided during your first order. You will also be able to use your password to make changes to your account information and to track the progress of your order with us. Choose a delivery method Consider how quickly you would like to receive your order, and choose a delivery method. Our standard delivery takes from 3 – 6 days. We do have a next day delivery option which must be selected before 2pm on any normal working day to guarantee delivery the following day. Visit Delivery preferences to view our delivery charges. The delivery charge for your order will be displayed on the order summary page just before you submit your order. Provide payment information Let us know how you would like to pay for your order. You can pay for your online order using Visa, MasterCard, American Express, Delta, Switch, Maestro or Solo cards as well as PayPal online purchasing system. Please note we don't accept Visa Electron for online or telephone orders and we no longer accept cheques or postal order payments for purchases. All orders must be prepaid, but remember payment will not be taken until we are ready to dispatch the item. Enter your credit card number without spaces or dashes. If you have a promotion code to apply to the order, e.g. for free delivery if your order qualifies, please enter it in the box provided. Review and submit your order Check the accuracy all of the information you provided and make any necessary adjustments. You may have instructions relating to delivery this is your opportunity to add these to the order in the 'comments' box. When you are ready, click the 'continue' button to submit your order. Once you place your order, we will send you a confirmation email message. We will send you another email message at the time of dispatch. Check your order status If you would like to review or check the status of your order before it enters the dispatch process; click the 'My Account' link in the top right corner of most pages on our site. This will allow you to view your orders current status. We won't ask you for any payment until we've made sure that all the goods in your shopping basket have been processed. And to make sure you always have the highest level of security, your payment details are automatically encrypted when you enter them. You can pay for your online order using most credit or debit cards - Visa, MasterCard, American Express, Delta, or Maestro/Switch cards are all accepted. Payments are now accepted via PayPal, the secure online payments service. PayPal gives online and mobile shoppers an easy, convenient, more secure way to pay. They don't charge extra to make a purchase and you can pay you using your credit card, bank account or direct from your PayPal account. On the payment page, enter the promotion code in the 'promotion box'. You'll need to enter the promotion code to get the discount or special offer on your order. When you reach the order summary page, enter the gift voucher code to redeem as payment against the order. 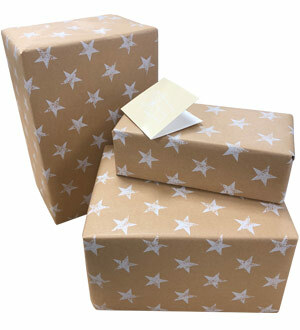 What is the Gift wrap service and cost? For just £3.95 per item, you can have all or part of your order gift wrapped (applicable on most products). At the checkout select the items which require gift wrapping and include a message in the box provided. Gift wrapped orders are finished with beautiful and colourful geometric design paper, designed and made in the UK. Please note all gift items are despatched with a packing list stating the origination of order delivery address and breakdown of the items packed. These do not have financial details attached. Please be aware - the gift wrapping message service is for your own personal and non-commercial use. You agree that any messages sent by us on your behalf to a third party will not contain anything which could be construed as harassing, threatening, vulgar, abusive, obscene, defamatory, racist or which may cause embarrassment or distress to any person or are otherwise unlawful or objectionable. You also agree that you will not impersonate any person, including but not limited to any of our employees or customers. You are entirely responsible for any text or other material which you submit or send on this message system and Ethical Superstore accepts no liability for any such content. We do not pre-screen messages, but may monitor content from time to time. We have the right to refuse to send or display messages and terminate access to the gift wrapping message service at any time and without liability to you.